Register now for Maha Shivaratri with Sri Swami Vishwananda at Shree Peetha Nilaya. Maha Shivaratri is less than one week away! Shivaratri, happening this year on Tuesday February 17, is the great night of Lord Shiva, associated with various legends marking that auspicious night. It is associated with the incident when Shiva swallowed the dangerous halahala poison which emerged from the churning of the ocean to save the world. By his yogic powers, Shiva could arrest the poison in his throat. Due to the effect of the poison his neck turned blue which lead to his name Neela Kantha or The Blue Throated One. Shivaratri is also the day when Shiva married Parvati. On the auspicious day, an all-night vigil is held for Lord Shiva, accompanied by a strict fast in dedication to the Lord. All the traditional rituals are performed, including offering of bilva leaves and abhishekam to the Shiva Lingam. In addition kirtan is performed throughout the night, allowing devotes to take part in the “tandav” or “dance of destruction” with the Lord, symbolising the destruction of the Ego. The day of Shivaratri will be a long and exciting one. We will start the ceremonies at 5:00 in the morning on the 17th February in the temple and do kalash puja, abhishekam and a small yagna. In the night from 17th to the 18th February there will be the ceremonies that commence in the evening with 4 abhishekams taking place at 18:00, 21:00, 24:00 hrs on the 17th February and 03:00 in the morning on the 18th February. 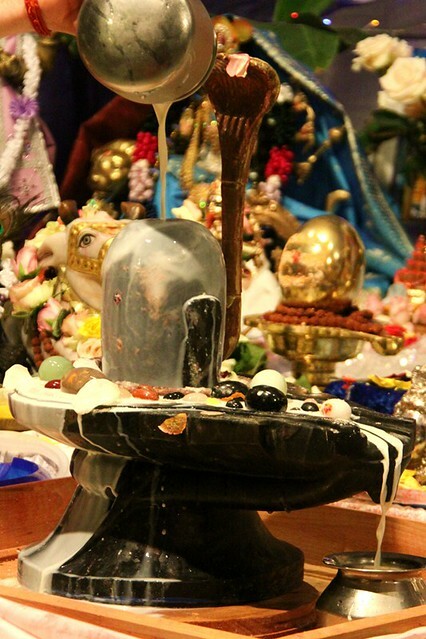 Throughout the night, devotees will be able to offer water and bilva leaves to the Shiva Lingam. We expect the final ceremony and celebrations to finish around 05:00 hrs in the morning. 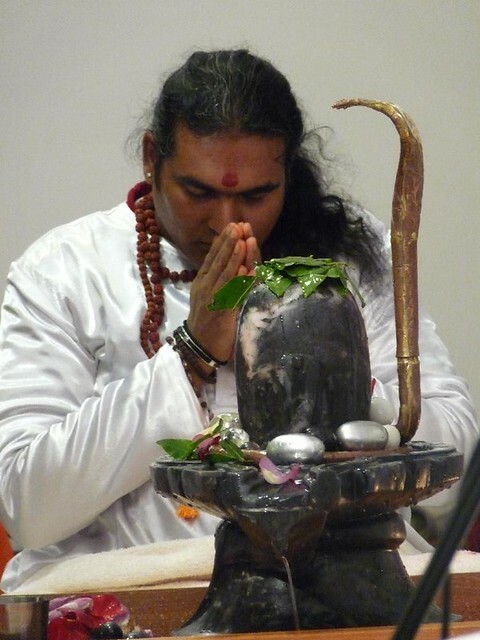 Register now for Shivaratri with Sri Swami Vishwananda at Shree Peetha Nilaya! We expect many people to attend, so registration is extremely important for us to accomodate our guests properly. (If you have already registered, you do not need to re-register). We look forward to seeing you at the ashram celebrating Mahadev with Sri Swami Vishwananda!